With intricate designs and festive themes, corn mazes are the ideal way to say hello to the fall season. Pair that with other festivities like hayrides and pumpkin picking, and you’ve got yourself the ultimate fall day. Pennsylvania’s quaint local farms play host to some seriously impressive corn mazes. So who’s ready to get a little lost in them? Here are the best corn mazes in the state! 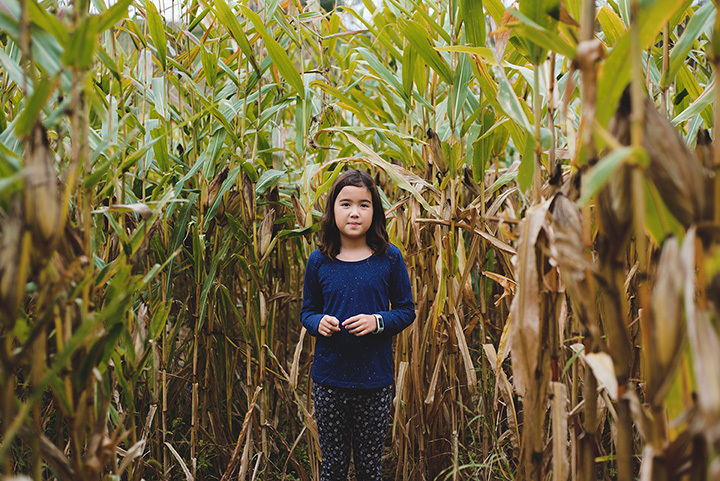 In Boyertown, Wilcox Farms features more than eight miles of corn maze trails and sits on a 25-acre property. Inside this huge corn maze are several smaller mazes, meaning you can decide how long you want to wander. The kids aren’t left out, either: there’s a maze for them, too. Flashlights are provided after dark, too, so the fun never stops, even when the sun sets. This year, "Bee A-Maze-D!" by Country Barn Market’s five-acre corn maze, which features three varying levels of difficulty the whole family can enjoy. The most difficult maze takes about an hour to complete. Get to it—and then enjoy the rest of Barnyard Kingdom! The theme of this year’s Amazing Maze at this Lancaster County farm is “Board Game Madness.” The dynamic, interactive corn maze spans five acres and takes about an hour to complete, according to the farm’s website. Participants are given a game board and use clues to navigate their way through the maze which features slides, bridges, photo opportunities, and more. The best part? You can choose your challenge: easy, intermediate, or difficult. This year, Coolspring Corn Maze’s theme is “Heroes of the Corn.” Can you guess who they are? Open on Fridays, Saturdays, and Sundays through early November, Coolspring also features an indoor hay maze, hay rides, pony rides, and hot air balloon rides. So, what are you waiting for? Get lost! Maize Quest Fun Park is open daily, so visitors can enjoy it for a longer period of time than some of the other mazes in the state. The Cornfield Maize Adventure is the most popular attraction, but there are plenty of other mazes to delight visitors as well. And what’s more? There’s also a train, a jump zone, wagon rides, and a pumpkin patch. Mazezilla is so popular, it even has its own website. The 11-acre corn maze might be corny, but it’s no joke. Visitors are taken out to the corn maze in a wagon attached to a tractor to test their puzzle-solving skills. The maze opens at 11 a.m. each day. Closing times vary. No two years are the same, so don’t miss out! Portage’s Weakland Farms features an eight-foot-tall corn maze that spans six acres. Make your way through the corn maze, check out the petting zoo, go for a wagon ride, and pick out the perfect pumpkin. No matter your age, you’re sure to have a unique fall experience here. At Hellerick’s Family Farm, there’s not one corn maze, but two. For little ones, there’s the junior corn maze. For the rest of us, there’s a more challenging maze that covers five acres of ground. Other activities for kids and adults include corn chute slides, tricycles, and a petting zoo. What makes Fields of Adventure unique, you ask? It’s a corn maze that’s educational...and so much more. It’s fun, challenging, and the theme changes each year. Once you’ve completed the maze, check out the zipline, pumpkin bowling, horse swings, or pumpkin checkers. Plan your visit to Fields of Adventure for a Friday, Saturday, or Sunday today. The corn maze at Winding Brook Farm is open during the day, but it’s best enjoyed in the evening, if you ask us. Enjoy the spookiest parts of fall and have an unforgettable experience with Winding Brook’s haunted corn walk and haunted woods. For opening and closing times, check out the farm’s website. View more Pennsylvania Corn Mazes.